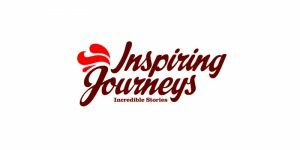 We aim to do things a little differently at Inspiring Journeys so that you’ll come back different, effected and inspired. We strike the perfect balance between freedom from the stress of planning your journey and just enough flexibility for you to shape your journey so that it suits you down to a tee. After all, it’s you who’ll write your own incredible stories with a little bit of help from us. Everyone has a story, we’d love you to start your next chapter with Inspiring Journeys. On an inspiring journey, you’ll stay in hand picked accommodation in beautiful and unique locations where there is a real sense of connection with nature, like Te Waonui Forest Retreat and Puka Park Tree Hut Chalets. Accommodation varies from private cruise cabins and a resort to lodges and boutique hotels. In some remote areas where options are limited, the standard may be slightly lower but the quality of the experience and remoteness of the destination far outweighs material comforts. Meals on an inspiring journey are sourced fresh so that you get the best of the local produce and the unique flavours of the location,. All breakfasts are included, as are some lunches and most dinners. We understand on occasion you may prefer to seek out a local restaurant. Whether it’s an intimate dinner for two or a casual get together with a small group, there’ll be free time in the evening to delight in new food experiences. Also keep an eye out for our Highlight Dinners. Inspiring Journeys’ modern vehicles are designed for your comfort. Our air-conditioned vehicles are fitted with superior leg room, ergonomically designed seats, panoramic windows and glass roof for the best views, a restroom, kitchen with refrigerator and state-of-the-art technology, including DVD player, LCD viewing screen, iPod connection and a PA system. There are complimentary creature comforts on board including refreshments.